Can’t find your application on our list of markets? 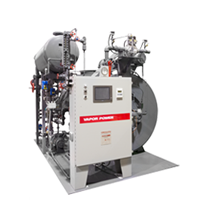 A Vapor Power product can still be the right choice for your project. Our Circulatic and Modulatic steam generators have been used in just about any steam application you can think of. The same can be said of our thermal fluid heaters. Don’t have gas available, but electric power is abundant? 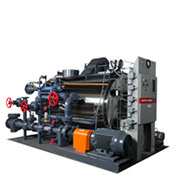 An electric hot water or steam boiler may be the right selection. 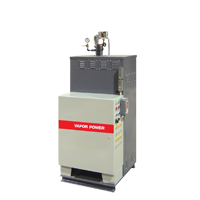 Vapor Power can customize equipment to meet a customer’s exact needs. Steam generators are available from 15 psig design pressure to 3200 psig and even supercritical design pressures, so we have equipment for every application. Our flexibility is another advantage beyond the operational advantages our equipment offers. 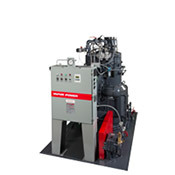 Whether access to the boiler room is limited, requiring partial disassembly, or space in the boiler room is tight, Vapor Power has a solution for your specific needs. Not only does our steam generator have a 40-60% smaller footprint, it can be disassembled and re-assembled on site without any field welding. 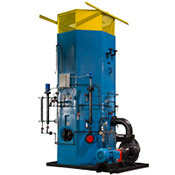 Complete skid packages are available for steam generators, electric boilers, and thermal fluid heaters. This can include a feedwater tank, pressurized deaerator, blowdown separator, water softener, and chemical feed system. Thermal fluid skid packages include single or multiple pump skids, the expansion tank mounted at the heater or remote, and temperature or pressure control valves. 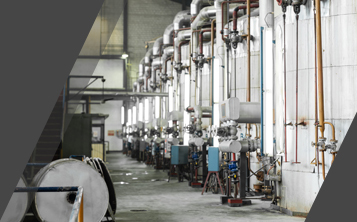 With more than 100 years of application and design experience, Vapor Power has a solution for your project.